The Martin Luther King Dream Team was founded in 2003 by Beatrice “Bea” Moten-Foster. Bea was a civil rights activist who participated in the historic 1965 march from Selma to Montgomery, Alabama. She later moved to Muncie, where she founded the Muncie Coalition of 100 Women, organized the first Muncie Black Expo, and created a citywide celebration of Black History Month. Her many awards and distinctions include the Sagamore of the Wabash, Indiana’s highest civilian honor. 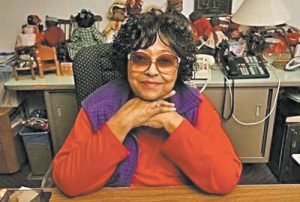 Miss Bea passed away in 2011, yet her legacy continues to fuel the MLK Dream Team and inspired the Freedom Bus, a mobile Civil Rights museum which is named “Miss Bea” in her honor. The legacy of James “Al” Rent lives on in the MLK Dream Team after his many years as a board member. Al’s unbridled enthusiasm and passion for all things good in Muncie, Indiana inspired us to endlessly pursue the values of our purpose and continuously celebrate the flourishing diversity in our city. 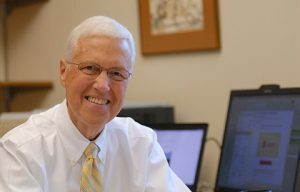 Born and raised in Muncie, he served many roles in the community throughout his lifetime, including Executive Director/General Manager of Public Broadcasting for Ball State University, Vice President and co-owner of radio stations WLBC and WXFN, president of J. Allan Rent Advertising, Director of Public Relations for Marsh Supermarkets, commissioner for the Indiana Arts Commission, board chairman for Meridian Health Services and Minnetrista, the Muncie Symphony, Greater Muncie Area Council for Youth Leadership and many others. Al was awarded with the Muncie Star Press Newspaper “Person of the Year” Award in 2010, the Muncie-Delaware County Chamber of Commerce “Legacy Award,” as well as the Sagamore of the Wabash Award, Indiana’s highest distinction, in 2016. We remember Al’s kindness and joyous demeanor, and we work in the hope that MLKDT’s efforts reflect his dedication and devotion to our community.